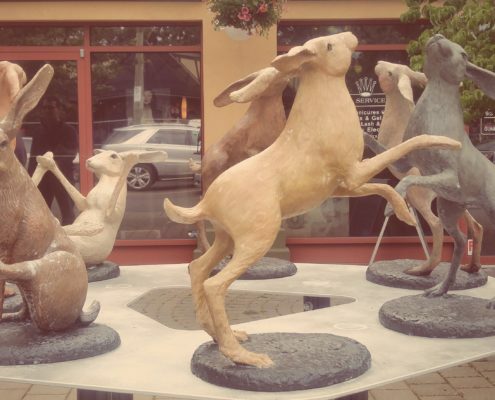 Once you arrive in Oak Bay, you’ll find the community proudly displays art and sculptures all throughout the outdoors. 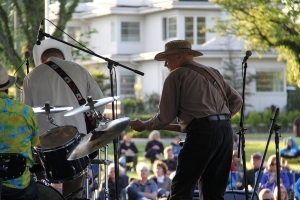 Oak Bay Parks, Recreation, and Culture spoils us in Oak Bay with free concerts on the beach throughout the summer! The musical line-up is chosen to support established, as well as up and coming local talent who blend musical styles. Audiences can expect something different each time and a chance to enjoy music outdoors. Bring a blanket and a picnic, and enjoy live music in a beautiful setting. 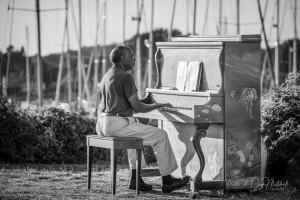 Expect a variety of musical styles by local performers. Willows Beach Park is located at Dalhousie Street at Beach Drive. 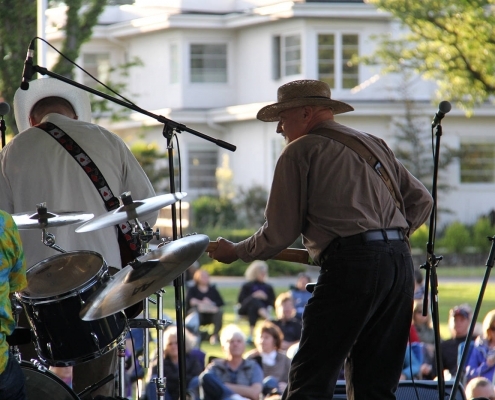 The avenues of Oak Bay are about to get a little more musical in the summertime. 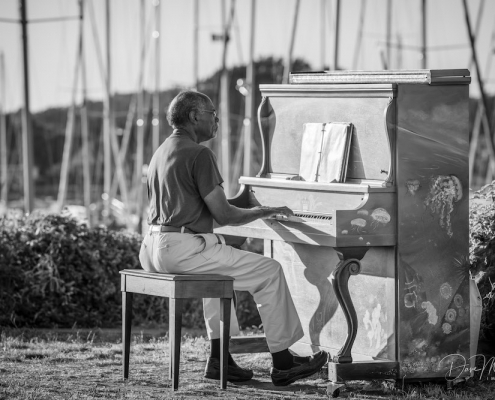 The public painted piano program is one that brings joy and energy to our beautiful community. 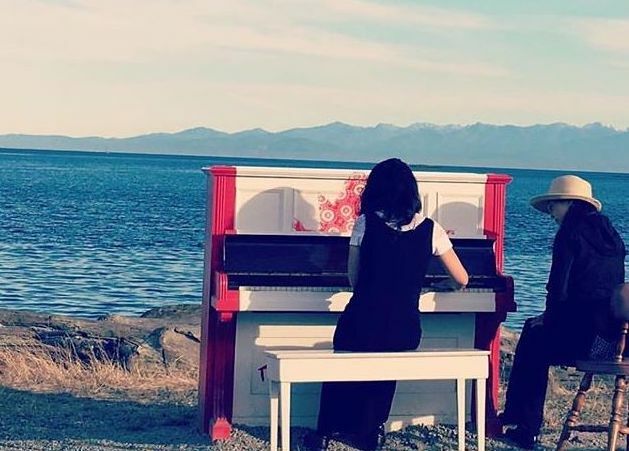 Each year, four to five new pianos are purchased and painted by local artists. They are then placed in chosen locations along the coast, in the parks, and around Oak Bay Village. 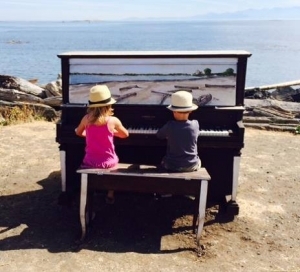 Find an art surprise around every corner in Oak Bay with our ArtsAlive outdoor public art program. 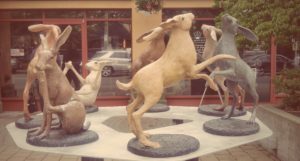 Each year the Arts Laureate of Oak Bay and Oak Bay Parks, Rec, and Culture organize a public outdoor sculpture program of up to 14 new pieces of art brought into Oak Bay from all across the country. Each piece unique, each piece with a story, each piece incredible. Find them all along the avenues, the beaches, the parks, and just around every corner.